HONG KONG (September 11th, 2017) - At the invitation of financial services company BGC Partners, international organization WGI has participated in its first Charity Day. BGC Partners and its affiliate Cantor Fitzgerald hold their annual Charity Day to raise money in memory of their employees lost on September 11th, 2001. To date, BGC and Canter have raised over $100 Million which is donated to select charities each year. This year, WGI is one of the charities which will receive a donation for its participation. 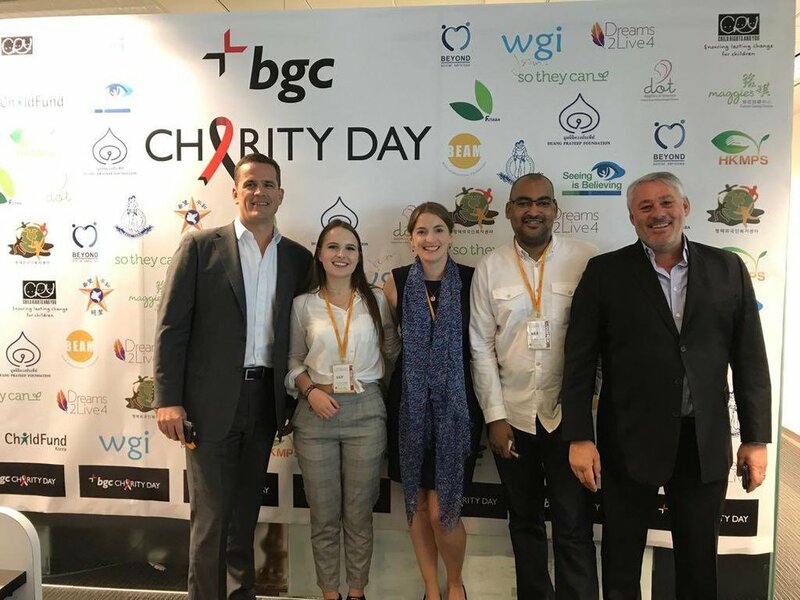 Held at BGC and Cantor offices across the globe, Charity Day culminates with celebrity and charity ambassadors visiting trading floors and manning the phones to help raise money. WGI was represented at BGC’s Hong Kong office by Nicola Oldfield, Chris Pennicott, & Jason Strickland. BGC Partners has kindly invited WGI to participate again on September 11th, 2018 in Hong Kong.